This was the scene outside my car window on my drive home today, while on the radio voice talk about how about the horrid condition of Michigan roads. 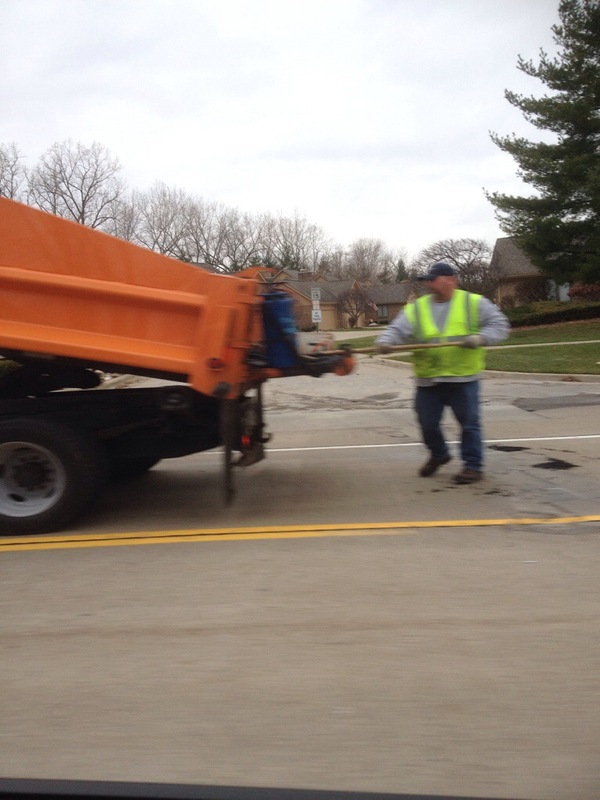 Roads in the mitten state are in dire need of repair. It seems they are always under construction but are never fixed. It seems like a similar cycle in education. We are constantly in a mode of repair that never seems to get done. Upon arrival at home I noticed a press release from the Michigan Association of School Boards urging schools to lobby against a bill that would shift gas sales tax from school to roads. Wait, so when the roads fall apart we throw money at the problem and blame the weather, when the schools fall apart we cut funding and blame the teachers? Lovely Paradox. Schools are in constant change, looking for new and inventive ways to improve instruction. Thinking over my 15 years as a middle school teacher, my instructional techniques have totally changed to improve learning in my classroom. Formative assessment training has taught me to constantly monitor my instruction and know where my students need help. I use many different technology tools to deliver timely instruction. Do I notice new innovations in road technology? Well the cold patch pictured to fill pot holes has been around since the first pot hole.The holes are filled one day and then back the next. Is the press attacking highway construction crews with desire to end their careers? Are contractors paid based on their performance? (Seems only if the job is done ahead of time not on quality). Funding needs to go where it is needed most, in our schools for our future. Challenge the highway contractors to cut costs and find innovation in the same ways schools have over the past 10 years.